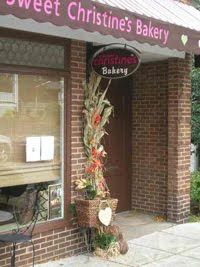 Sweet Christine's Bakery really is a true delight! I enjoy everything that she makes and when I run out of her treats, I have to run to a local distributor or make the trek to Kennett Square immediately. Even my family members who do not need to eat gluten-free enjoy her baked goods. I highly recommend this bakery! Her chocolate chip cookies, brownies, and pizza are my favorites!